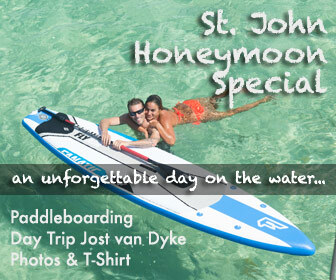 We teach and rent out high quality Fanatic, SUPATX and Starboard Paddleboards. 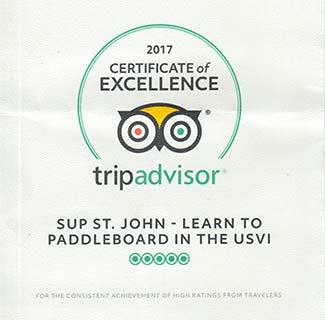 We have also had some custom boards made, that are ideal for lessons and rentals on St. John and light and easy to transport. Below is an overview of all the models we have. Confused? Sorry there is no one board that fits all. We have spent a lot of time giving lessons and talking to our rental customers to create a line-up that will accommodate every size, weight, age and level or experience! 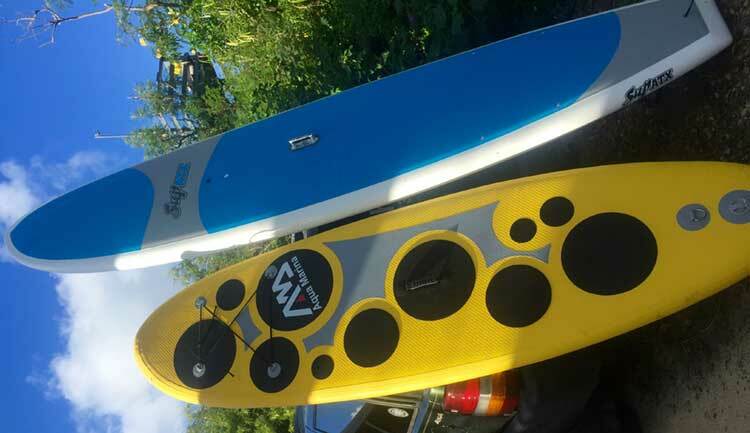 And of course all these boards have been tried and tested in the conditions on St. John, which are different from lakes and flatwater paddling (so most people choose slightly bigger boards). Intermediate (Touring Shape thinner and more pointed 12′-11′) if you want to cover some distance (e.g. 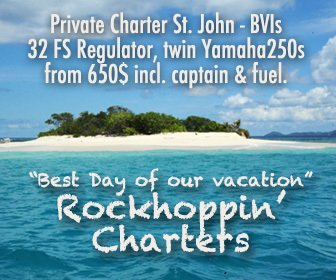 head out to whisling cay). These are the SUPUSA 12′ and 11’x31″ or the Annabel Anderson Touring Carbon 11’6×29″. 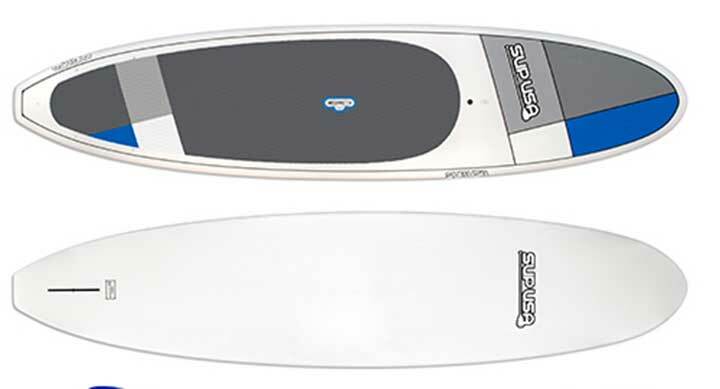 Even more sportier are the Falcon Air 14’x29″ and the Lahui Kai 12’6×27.5″ entry level race board. 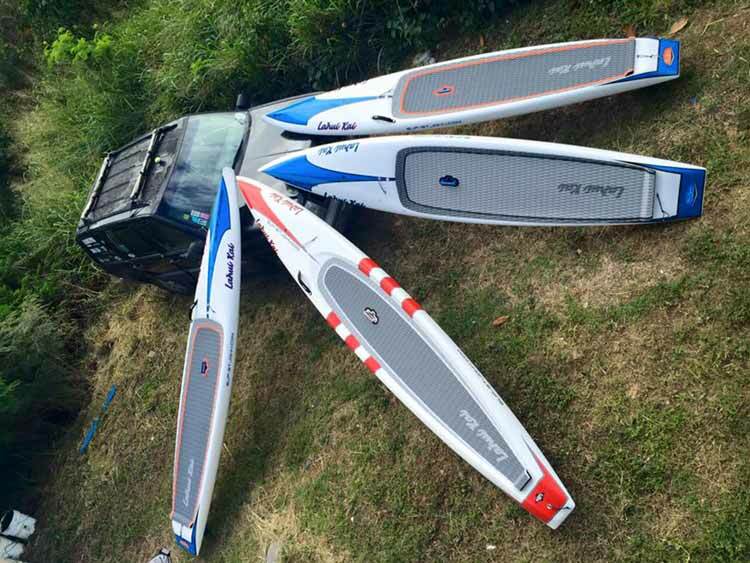 Experienced (Carbon Raceboards and Falcon Air 12’6″ and 14′) if you want to race or do distance paddling & downwinders. Boards for Kids & Teenagers. Kids from 5-6 years onwards can usually paddle on their own in calm bays like Maho. We have special boards and paddles for kids. Send us your ages, sizes, weights and level of experience and we will help you choose the board that is best for you! This board is super wide, thick and stable but has no rubber deck which makes it a bit lighter. We have attached a luggage net to it, so you can take a dry bag or snorkeling gear. The 11.6 is suited for medium to heavy riders. If you sometimes paddle on your knees for longer periods you want to take one with a deck pad. Great entry level race/touring board with luggage net. Perfect for sporty ladies. we can deliver those boards inflated or uninflated. They are super easy to transport and carry and pretty indestructible. They are also ideal for Yachts as they won’t damage the boat. 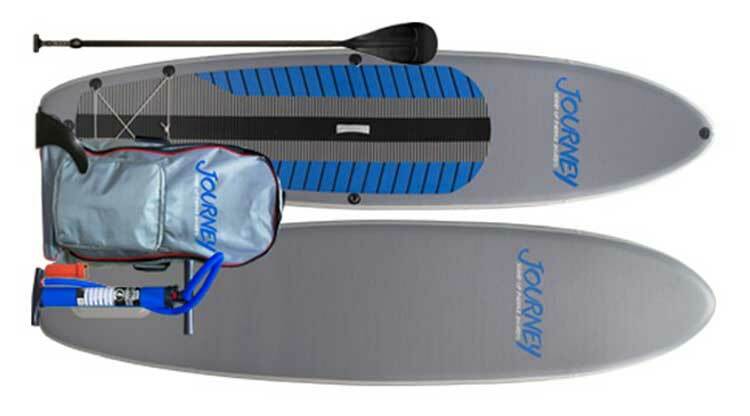 Great inflatable Paddleboard for easy carrying, family fun as well as SUP Yoga. You can leave it inflated and put on car roof or uninflate and roll up into a backback. 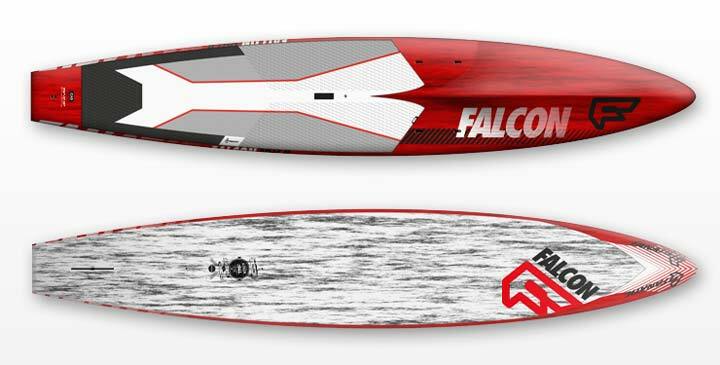 The Falcon Air 2016 (pictured below) is the brand new inflatable version of the famous Falcon Raceboard. It is produced in the new Double Layer Light Technology, saving around 20 – 25 % of weight combined with 25 – 30 % higher stiffness, while offering highest quality and durability on the market. It has the performance of a raceboard but is much easier to throw on the car and much easier and lighter to carry around. If you are a sceptic towards inflatables, this board will convince you otherwise! 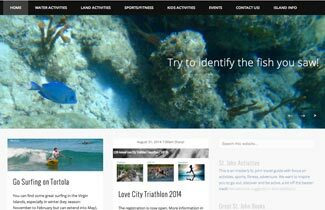 for experienced, fitness-oriented paddlers who want to go for distance paddles or downwinders. We actually circumnavigated the whole island on the 14′ model (took us 8 hours). Those boards are fast, they have an awesome glide. 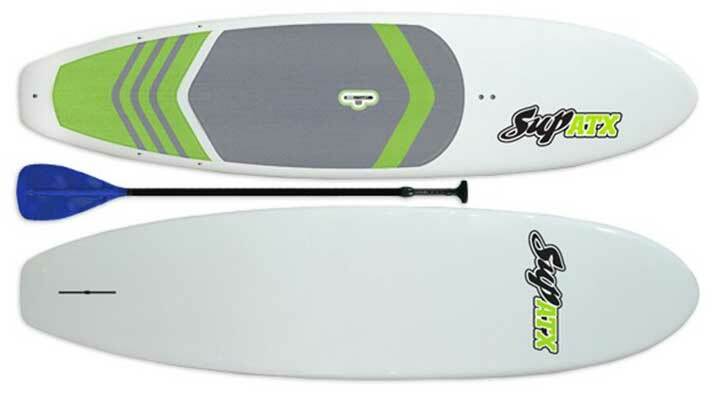 A paddle that takes you 60 minutes on an allround SUP will take about 40 minutes on this one. WARNING: Once you paddled a raceboard, you don’t want to go back to the round shape! This is a great raceboard in the ocean, Annabel Anderson raced it to countless victories (she has in the mean time switched teams to SUPATX). It is suited for experienced riders up to 90-100kg. If you have not been on a raceboard before you might want to try the wider ones in 27.5″ before (we have the Starboard Ace 12.6″x27.5″ and the inflatable Fanatic Fly Air Raceboard in 12.6″x27.5″). The wide nose makes it very stable and easy to handle in the ocean also when there is wind and wave from the side, the very narrow tail makes up the speed you loose from the fat nose. This board is a great all condition raceboard and awesome for downwinders watch a downwind video here: https://www.youtube.com/watch?v=fQH1-AUP7iY. However walking back and forth and going in surf stance is not easy due to the rails. Low primary but high secondary stability. That means it feels tippy at first but it rarely tips over. 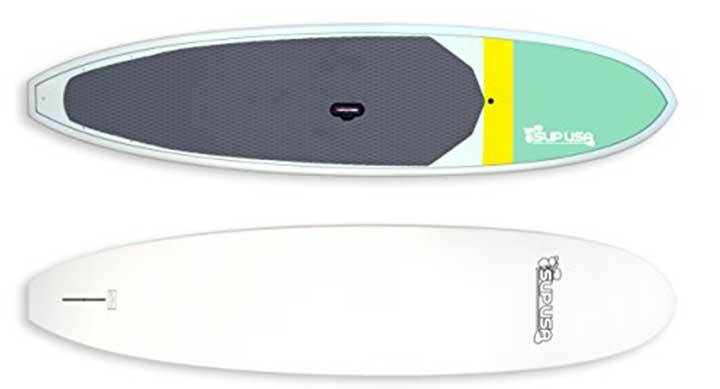 It has a concave bottom shape so it catches the smallest waves in a downwind. They come with luggage net attached so you can take a dry bag with you, they also have gopro mounts (for GPS or camera). This is the older Fanatic Falcon but in our opinion still the best for open ocean and downwind paddling. Lucy circumnavigated the whole island on it. Wave SUP for experienced surfers. 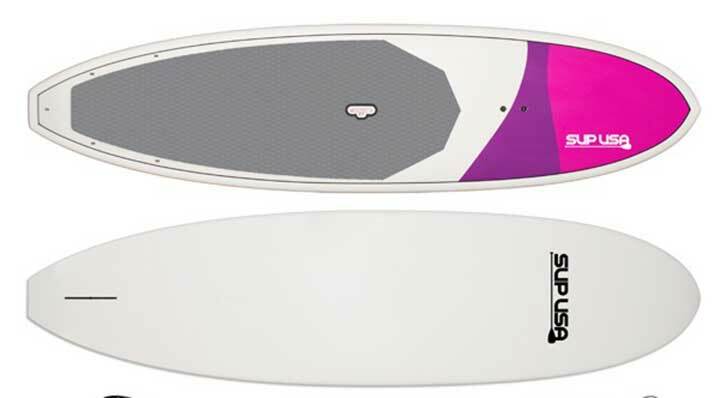 Also a nice boards for kids in flat water. good for intermediate surfers and also great for kids in flat water. If you tell us your size, weight and level of experience, we will help you find the right board!